Since 1990, the Saint John Theatre Company has had a hand in growing the performing arts community in Saint John. From its early days as a small group of interested individuals the idea was always to create something that every great city has – a thriving theatre company. In the decades since its inception, the Saint John Theatre Company has flourished in the Port City, making it one of the largest and most prolific theatre organizations in the region. In the years since its launch, the Company has remained focused on three key goals, which include: developing and promoting local talent; playing a vital role in the development of the professional theatre industry in Southern New Brunswick; and helping to make the community a better place to live. 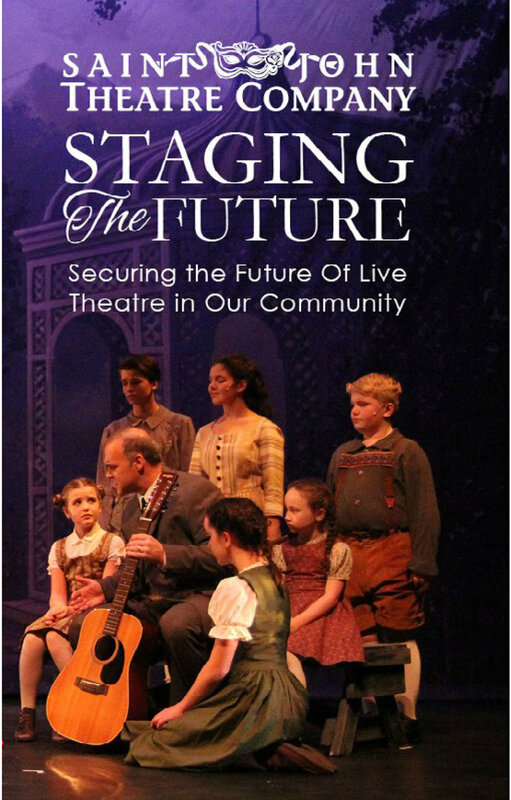 In 2015, the Board of Saint John Theatre Company’s established the Saint John Theatre Company “Staging the Future Fund” with The Community Foundation. The purpose of the endowment is support various projects and the operations of the Theatre Company in perpetuity. By entrusting funds with the Community Foundation, the Saint John Theatre Company has set forth a long-term approach to ensuring the sustainability and vitality of the Company.